"Dark Star" can be found on The Information. It is basically a laidback rap. As Beck has pointed out, this is the one where he really tried to do "something I hadn't done in a rap song before -- something contemplative." This is the embodiment of his idea to mix a little Sea Change into his grooves. Along with the spacey echoed groove, there are some beautiful strings arranged by his father, David Campbell. Beck tosses in a little blues harmonica blow-out in there as well. Similarly, Beck shared how producer Nigel Godrich was a force in getting him to do some more rapping for the album, but also that Nigel made him do it in a whisper instead, which really give the song a more intimate feel. It's a great, underrated recording, for sure, and certainly unique for a rap. Beck's impressive lyrics spin a big web, but as he once explained, "there's a feeling of imminent disaster in this. It was in the air when we wrote it." I am hesitant to break this lyric down much further than that, in part because that quote is so succinct and interesting, it is hardly necessary. Imminent disaster. What disaster? What fear was in the air? I think pointing this song at specific political acts may deaden the song's impact, so let's leave it undetermined. "Imminent disaster" is all we need to know, and everything that it entails: sadness, wonder, confusion, fear. Part of the reason I feel this song is somewhat underrated and overlooked, it there have not been very many live performances of "Dark Star." Presumably, this is because it is such a studio recording--a whispered rap over a bed of strings, both of which would be hard to duplicate on a stage in front of thousands. Beck toured in the months up until the release of Info, playing some of the songs live. Not "Dark Star," however. He waited until October 2006 (the same month the album was released) to start performing the song. They did it 6 times that month, before basically dropping it. The next four versions were done in front of a bigger audience, as part of his tour. I unfortunately have not heard any of these. After that first leg of the Info tours, Beck and his band drove across country to get home to Los Angeles. They stopped in four cities, and played very small "surprise" gigs. In Atlanta, it was Halloween, and they showed up at a small 300-person club in Halloween costumes, and played a surprisingly full set, almost entirely done via request. "Dark Star" was included. Then in December, Beck and his band did a show that was filmed for webcast on Yahoo! They included "Dark Star," again likely due to the relative intimate nature of the set-up. 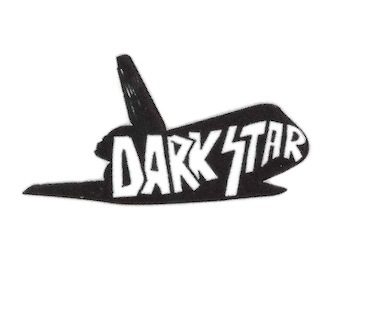 The final version of "Dark Star" was when the Information tour went to Japan, in April 2007. It is expertly-performed, as the band adds all sorts of keyboard effects, but not going over the top with it. Brian LeBarton does the harmonica part on it as well. The song has not been played since. It is easily one of my favorite Beck songs, but it does appear the band never felt quite right doing it on stage, the intimacy of the record being difficult to duplicate. I would be surprised if Beck ever considered the song for his sets again.